Trump has “thrown a weight” behind a reform of the immigration system which is said to be inspired by the Australians point based model. Australia's point based system is been running for decades. This system began in 1990s from the post war years and is continuing till date. This skilled migration stream controls the type and number of workers that are accepted in the country. As per the Department of immigration and border protection this system is designed for skilled employees who have required talent that would contribute to the economy of Australia. Skilled migration now makes up approximately 2/3rd of the 190,000 non-humanitarian places in Australia's annual migration program. Applicants who are young, have good work of experience, possess proficiency in English and who are highly skilled score highest. This point system does not apply to all the migration systems. Employer nominated scheme visas do not require a point test. These are offered to the in demand professions in Australia, that includes trades people, engineers, doctors, nurses, mechanics, and plumbers. The assessment of this point system is said to be clear, transparent and fair in order to get entry into the Australia. 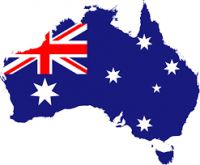 This helps the government of Australia to limit the economic migration in order to focus on long term growth.